(CBS) LEXINGTON, Ky. - College basketball runs deep in Kentucky - especially now with arch rivals the University of Kentucky (UK) and the University of Louisville (UofL) poised to meet in an NCAA semifinal Saturday. Still, police didn't expect to get called to a kidney dialysis clinic to break up a fight between fans! "I think this is a first at a dialysis center," Lt. Robert Swanigan commented while handing over the police reports. CBS affiliate WKYT reported officers were summoned to the Georgetown Dialysis Clinic Monday when two men - respective supporters of UK and UofL - gave each other the treatment, during their...well, treatment. "He just happened to think UofL would beat UK and he started to run his mouth," explained dialysis patient, and Kentucky fan, Ed Wilson. "That's what started it." But UofL backer Charles Taylor, who was waiting to get hooked up to a machine, told WKYT he saw things differently. Both men admit they were in the zone. "I wasn't gonna take no more from him," U of L fan Taylor admitted. UK fan Wilson explained, "I'm sitting there hooked up to a machine and I can't do anything." That's when Taylor - the Louisville fan - made his move. "I went up to him and I hit him," he said. "Didn't hit him that hard, but I hit him." By the time police arrived, the fight was over. "I'm sorry it even happened," Wilson - the Kentucky fan - told WKYT. "Hopefully, he won't come (to the dialysis clinic) at the same time as me anymore." Georgetown police say they investigated the incident as harassment and the case is now closed. 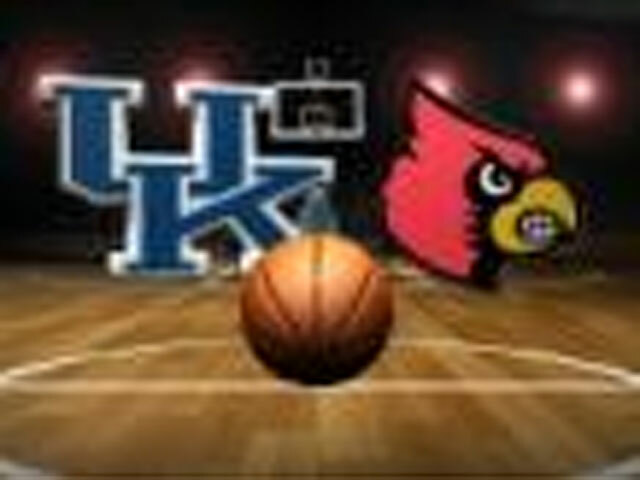 Here's hoping the two men can both watch Saturday's UK v. UofL game from the comfort of their own homes.